Home > How can you measure the value of a webpage? 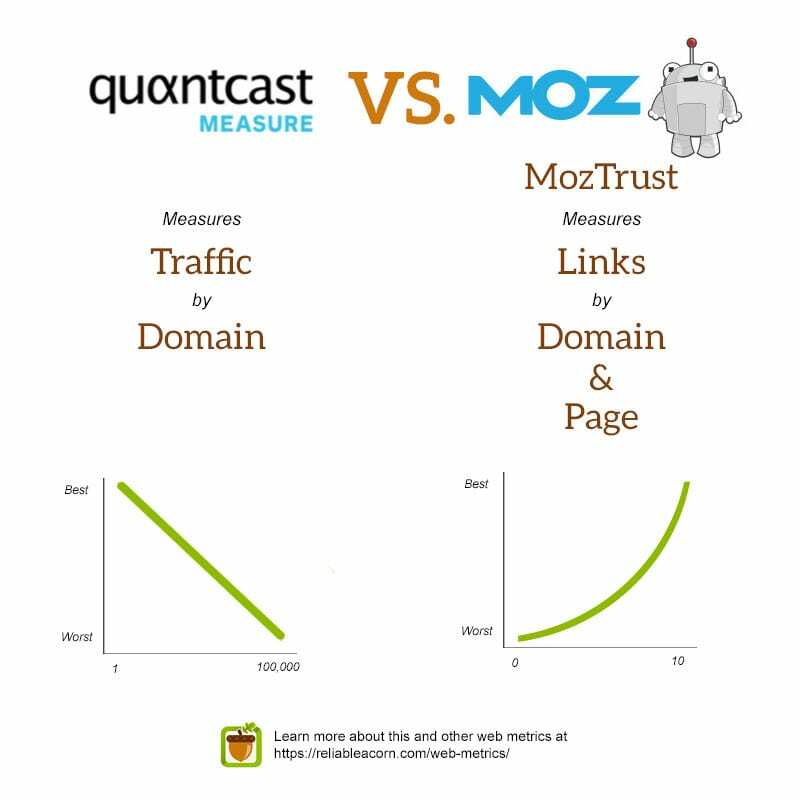 > How is Quantcast Measure different from MozTrust? Quantcast Measure is a traffic measurement tool to estimate the unique visitors and page views of a particular website. Quantcast then ranks the websites on a scale from 1 to 100,000- with the #1 website being the most popular in the world. MozTrust is purely based upon links. It measures the distance of a page (or website) from the most trusted websites in the world. This results in a number between 0 an 10, on an exponential scale. The higher the MozTrust, the closer it is to the most trusted sites in the world.